Turf, topsoil the green grass of the Engish countryside that sets aside a boring garden compared to a well established and attractive garden. As suppliers of topsoil in South Woodham Ferrers, we are here to provide you with the highest quality of turf in South Woodham Ferrers supplying your garden with a permanent green space to enjoy all year round. Contact Essex Garden Care today for any topsoil requirements in South Woodham Ferrers. Essex Garden Care can arrange for any garden, both commercial and residential to be cleared and maintained on a weekly, bi-weekly, monthly or even semi-annual basis. 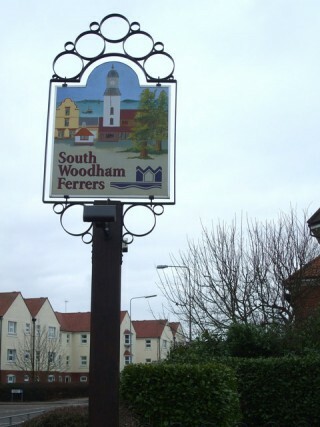 Clearing your garden in South Woodham Ferrers is straightforward and will bring back the life into your outside space. Not only do we provide garden clearance and maintenance services for anyone living in South Woodham Ferrers, we are able to arrange for dedicated Landscaping in South Woodham Ferrers and bring a once unused outside space back to being an extension of the home. Contact us today to find out about our Landscaping services for anyone living in South Woodham Ferrers, Essex. Perhaps your garden has a large tree that needs removing or trimming back to allow for more daylight into the garden. In which case you will need an experienced tree surgeon to bring back the garden space! Providing tree surgery in South Woodham Ferrers is another one of our services and we will endeavour in cutting your tree as per the latest arborist methods.